Mir Tanha Yousufi, born Muhammad Saleh on January 1, 1955 in the village Adam Ke Cheema, tehsil Daska, district Sialkot, Punjab Pakistan, is one of well-known and popular contemporary Punjabi and Urdu writers. He is best known for his Punjabi literature. He has so far produced two short story collection and five novels in Punjabi. 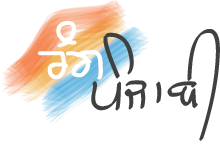 Most of his work has been transliterated in Gurumukhi script in Indian Punjab. 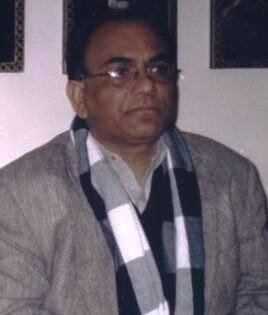 Beside his Punjabi works, he is a well known Urdu and Punjabi poet. Punjabi being his mother tongue; it was but natural to keep moving between Urdu poetry to Punjabi poetry. This drove him to write Punjabi prose as well, which he did with consistency and ended up with the publication of his first book in Punjabi. Some of these magazines are listed as: “Sver International” edited by Jamil Paul, “Rvel” and “Meeti” edited by Ilyas Ghumman, “Lehraan” edited by Akhter Hussain Akhter and “Pancham” edited by Saqib Maqsood. Yousufi’s first Punjabi short story collection “Sooraj Uggan Taa’en [Till the Sun Rises]” was published in 1996. This book proved to be his introduction in Punjabi literary world.